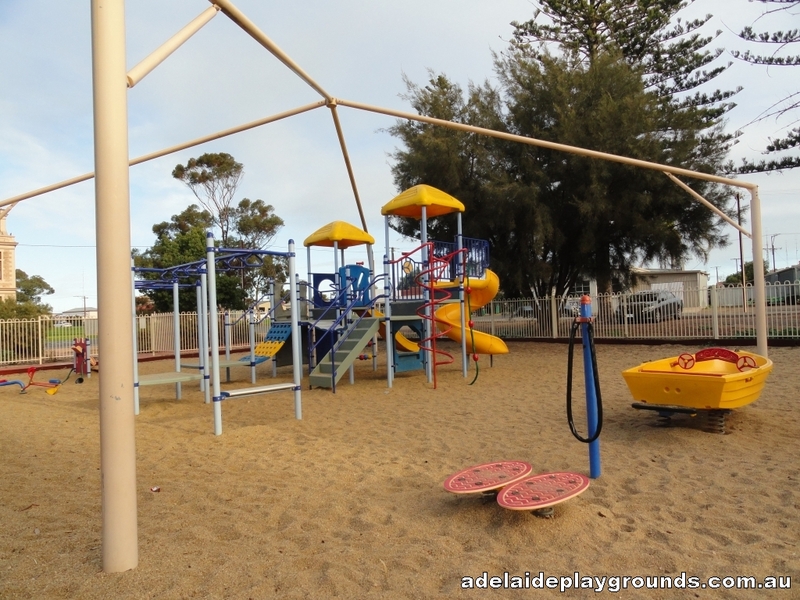 When we visited this playground there was a structure for shade, but none up. 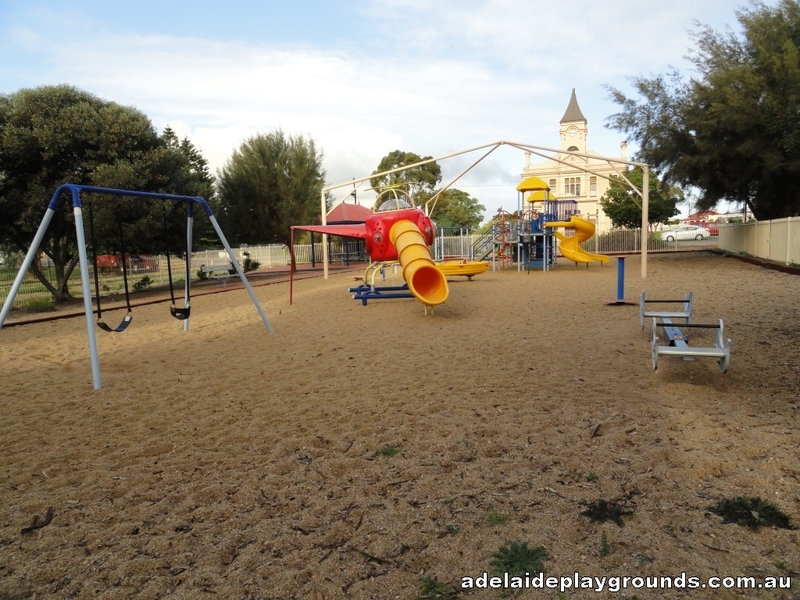 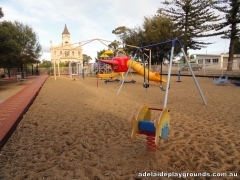 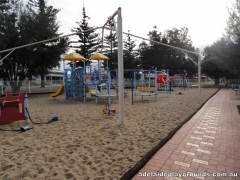 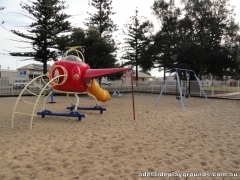 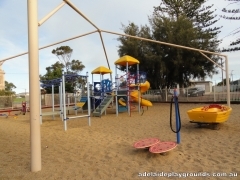 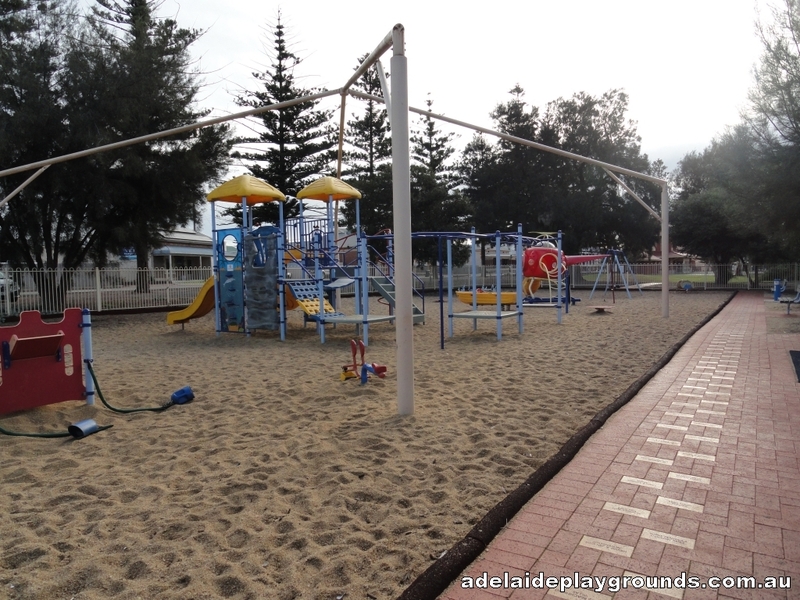 The playground has good, fun equipment that should amuse your kids for some time. Take a trip down Owen Terrace to find food and toilets can be found at the town hall.